Today's guest post comes from Matt Kuzdub. Wouldn’t it be great if we had the magic formula when it came to building the ultimate sporting champion? Or how bout a step-by-step recipe? Just add 10 years of skill training, a half-decade of physical development and a sprinkle of mental skills...and voila, a world-class competitor is served! Jokes aside, this topic of ‘what it takes to get to the top’, is eternally interesting. Whether you’re a coach, parent or athlete, achieving high levels of success in your chosen sport, is often a lifelong dream. But very few actually get to realize these dreams. Why is that? Why do some achieve greatness while others are left wondering where it all went wrong? Coaches and athletes aren’t the only ones asking themselves these questions. Researchers also want to gain more insight into this puzzle - now more than ever. This article will explore some of the newest research on this topic - particularly by a group of applied researchers, Dave Collins and Aine MacNamara. Their work will help us attempt to solve the perpetual question - what separates the greats from the almost greats? In particular, we’ll look to their research to aid us in distinguishing between, what they classify as ‘Super Champions’ (SC), ‘Champions’ (C) and ‘Almost Champions’ (AC). A secondary aim of this post is to explore their claim - that adversity (whether related to sport or life), plays a pivotal role in the success (or failure) of an athlete. In revealing their findings, we’ll look at how each class of athlete responds to setbacks, how a support team ‘should’ act and the characteristics necessary for athletic excellence. Note, before we continue, it’s important to know that SC were defined as athletes who not only competed at the highest level, they won multiple international championships at that level. Conversely, C competed at the highest level, but did not have the same pedigree of success (1 or none when it came to championship victories). AC consisted of athletes who achieved well at the youth level but only competed at the second tier professionally. According to Collins et al (2017), the biggest factor that separates SC from C and AC is a ‘learn from it’ attitude. There’s no argument that all athletes, at some point in their careers, experience adversity, challenges and what Collins calls “the rocky road” - these setbacks aren’t reserved for the chosen few. Ultimately, it’s the response to this that enables some to flourish while others to wither away. “rather than staying at training and thinking ‘right I’m going to work hard, I’m going to really focus on my crossing, or really focus on that,’ I did no extra work. I didn’t go in the gym, I didn’t eat the best foods.”. Many factors contribute to the above responses to setbacks and challenges. One area where researchers seem to point the blame are Talent Development (TD) pathways. The argument being that these centers for excellence are actually ‘smoothing’ the road for young up-and-coming athletes. The adversity necessary for growth, from their point of view, isn’t seen until later in a TD athletes’ career, when it’s perhaps too late. To resolve this, they propose that ‘structured traumas’ be strategically implemented into the programs of emerging sports stars. These ‘manufactured traumas,’ according to Collins, could include training with a new group, being de-selected from a camp or a temporary increase in training load. Is this the answer? Whether it is or not is still up for debate - but one thing’s for sure, the path to the top is anything but linear. Sure, many young athletes excel and progress rapidly early on. As they get older, however, and begin competing with others of similar class, that progress comes to a sudden halt - at times, it can even mean a step or two back (not something youth super-athletes are accustomed to). How many Michael Jordans, Roger Federers and Tiger Woods’ are there? Not many. Some of the greatest athletes of all-time had to overcome adversity, naysayers and their own internal demons just for a shot at competing at the highest levels of their sport. Tom Brady is just one example - drafted at no. 199 in 2000. It’s not that the AC can’t make it, it’s that they lack certain mental traits and skills to stay the course, especially in the face of adversity. The best of the best, on the other hand, according to Savage et al (2017) perceive their personal potential as significantly higher, following a setback. Those ‘rocky road’ moments leave a lasting impression on Super Champs - propelling them to learn and grow. While this attitude by no means guarantees their spot in the history books….it at least gives them a fighting chance. But perhaps it’s not the athlete’s fault. Research seems to indicate that there’s both a nature and nurture element to coping with adversity. Some athletes are born with personality traits that favor key mental aspects like optimism, hardiness and resilience. That doesn’t mean that these attributes can’t be developed. So instead of throwing in the towel, support staff should frame these ‘tough’ moments as opportunities for skill building and character growth. A few years ago, coaching Britain’s next female tennis hope, I encountered a similar experience - a father who attended every session, not as a casual observer, but as a vocal distraction. He would shout when he thought his daughter’s effort was lacking, grimace when she missed a forehand by mere inches and not once did he have a kind word to say. The result of this constant bombardment...at 15 years old, this rising star left the game and never returned. Many successful coaches across a variety of sports realize the commitment involved at the top. They understand that athletes are devoting their lives to sport and this constant analysis and over-analysis of practices & games can be too much. It’s another form of stress. One pro hockey coach says that most of the time, he’s talking about anything but hockey with his players. That’s not to say there isn’t a time and place to ‘dissect’ a performance, but when it’s constant, that’s when it can be detrimental. Perhaps a better option, one that ALL elite coaches use, is to simply engage in regular debriefs. After a practice, a game or a season, it’s absolutely vital that athletes sit down with a member of their support team for a review. These debriefs, according to elite coaches and researchers, can be more important than practices - the key is to know your athlete and when the right time to talk is (it can happen directly after a practice/game or several days afterwards...each athlete is different). Overall, it’s a facilitative approach, rather than a directive one, that seems to contribute to that ‘learn from it’ attitude seen in high-achievers while low-achievers, having too much info thrown their way, have a poor time coping with adversity. Thus, coaches and parents can adapt their involvement to fit the needs of each individual athlete. While researchers agree that an expert (like a mental skills coach) is likely needed to help shift the mentality of many athletes, they still advocate that coaches be a big part of the process - echoing the words of experts because of their day to day involvement with the athlete. These findings are taken from only a handful of studies - and less than 100 athlete responses. So there’s still a lot we can learn - but some of the early signs are promising. For one, we now know that high-achievers internalize setbacks, go through a reflective process, which ultimately drives their behaviors in a positive manner. Low-achievers, on the other hand, seem entirely ‘reactive’. As we noted above, this is likely a combination of Super Champs ‘learn from it’ approach to challenge and their encouraging (but not overbearing) support structures. Furthermore, at this level, all athletes have at one point (whether at the youth or senior level) been internationally successful. We can’t tell for sure whether a gap in skill or physical stature existed - if it did, it was likely small. The main differences between the best and the rest, according to Collins, were the psycho-behavioral characteristics of Super Champs - including commitment, coping with pressure, self-awareness, goal setting, effective imagery and more (for the full list, here is a link to the study itself). Inevitably, what this tells us is that even when things are going well, coaches should be constantly seeking to improve all facets of an athlete’s game - including aspects that aren’t necessarily as noticeable as a player’s batting skills or squat strength. But how often do we take part of a training session to improve imagery skills? Or to improve one’s self-awareness? Overall, mental toughness isn’t a result of suicide drills and grinding training sessions. As coaches, we must plan the development of these skills just as meticulously as we would a block of strength & power training. Collins, D. and Macnamara, A. (2017). Making Champs and Super-Champs—Current Views, Contradictions, and Future Directions. Frontiers in Psychology, 8. Collins, D., Macnamara, A. and McCarthy, N. (2016). Putting the Bumps in the Rocky Road: Optimizing the Pathway to Excellence. Frontiers in Psychology, 7. Collins, D., MacNamara, Á. and McCarthy, N. (2016). Super Champions, Champions, and Almosts: Important Differences and Commonalities on the Rocky Road. Frontiers in Psychology, 6. Howells, K., and Fletcher, D. (2015). Sink or Swim: Adversity and Growth-related Experiences in Olympic Swimming Champions. Psychol. Sport Exerc. 16, 37–48. Sarkar, M., and Fletcher, D. (2014). Ordinary Magic, Extraordinary Performance: Psychological Resilience and Thriving in High Achievers. Sport Exerc. Perform. Psychol. 3, 46–60. Savage, J., Collins, D. and Cruickshank, A. (2016). Exploring Traumas in the Development of Talent: What Are They, What Do They Do, and What Do They Require?. Journal of Applied Sport Psychology, 29(1), pp.101-117. Matt Kuzdub, MSc, (@CoachKuzdub) is the content creator at Mattspoint, an online tennis and strength and conditioning resource for coaches, players, and tennis enthusiasts. Matt has helped tennis players at all levels—from juniors to the professional ranks—achieve high levels of performance on both the national and international stages. Mattspoint is steadily establishing itself as a go-to source for cutting-edge tennis and fitness research, articles, and training videos. The gist was that strength is foundational to many other athletic qualities: power, stability, endurance, and even mobility. In short, building strength in untrained lifters is low-hanging fruit that can have a massive impact on other domains. However, if you train many of the qualities higher up on this pyramid early in a training career, you don't see very profound changes to athleticism. It's why the kid who just does agility ladders doesn't get much more agile, and the cross-country runner can't go faster just by running slow. 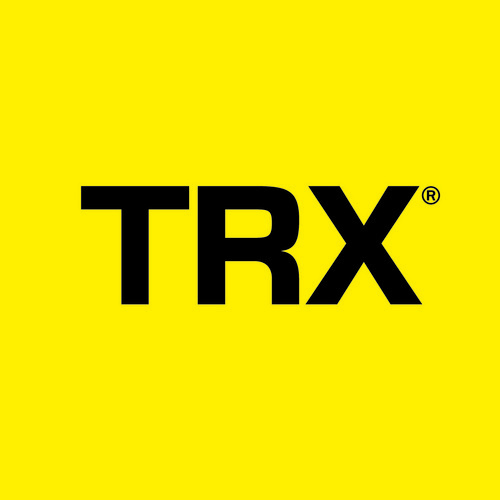 "This reads as an incredible endorsement of multimodal training like Crossfit! Which highlights the very different skills in the article! Thanks for sharing!" This is an incredibly well-intentioned person, but unfortunately, he could not be any more incorrect. And, it's a nice illustration of the confirmation bias we often encounter in the training world. This gentleman really loves Crossfit, and that's fine. He can train a bunch of different qualities and have a lot of fun. 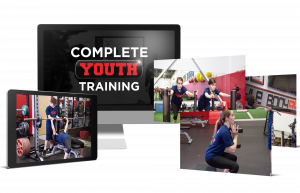 That does not mean, however, that concurrent training of all these qualities is a way to optimize long-term athletic development in teenagers (or any age of athletes). His confirmation bias leads him to believe that what he enjoys (and likely what has worked for him) will be good for every scenario he encounters. Sure, you can build a lot of these qualities simultaneously, especially in untrained individuals. However, you are not going to develop a 95mph fastball or run a 10-second 100m dash if you're consistently rowing 1000m, doing sets of 15 power cleans, or rocking kipping pull-ups like they're going out of style. And, you're going to have a much harder time staying healthy as you embark on these goals, as each sport has unique energy systems requirements and position-specific demands. How often do you see aggressive hip-shoulder separation, appreciable single-leg work, and end-range shoulder external rotation in the typical Crossfit program? Again, if you want to do these things, by all means, go for it and have fun - but don't confuse them with a plan that's optimized for athletes. Random programming might keep training novel, but it delivers random results - and athletic success is much more the result of targeted efforts to meticulously address the growth windows one can identify. In short, you can't take general solutions to specific problems. 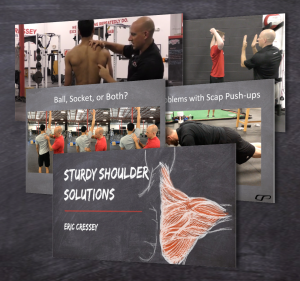 For today's post, I wanted to share with you an excerpt from my new resource, Sturdy Shoulder Solutions. In addition to the injury implications of this presentation, I think we also have to consider how much it ties into the concept of accelerating development of young pitchers by getting them strong in the right places. Early strength and conditioning can help to facilitate the proper muscular recruitment patterns (i.e., using lats more than the rotator cuff and biceps) to generate higher levels of velocity. To learn more about why the minutia often matters so much when it comes to the shoulder girdle, be sure to check out www.SturdyShoulders.com. If you could only pick one hip mobility assessment, what would it be? If you could only pick one exercise to build pitching velocity, what would it be? If you could only pick one shoulder exercise to fix my shoulder pain, what would it be? You know what's awesome? With respect to all of these questions - and many more - I've NEVER in my entire career had to choose just one. There may be no such thing as a stupid question, but there are stupid lines of thinking - and this reductionist approach to solving health and human performance problems is a big issue in our industry. In my experience, we see far more chronic issues develop because individuals fail to see the synergy among many factors, as opposed to their inability to hone in on the most important one. I'll give you an example. Earlier this year, we saw a pitcher with a cranky ulnar nerve. He'd had mixed results with anti-inflammatory medications. 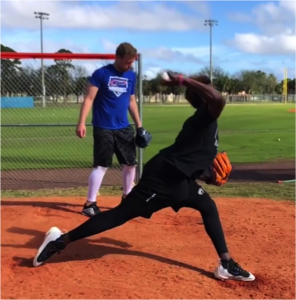 As it turns out, he had a subluxating ulnar nerve, which would predispose him to this issue during a motion like pitching that involves repeated flexion/extension, especially when combined with valgus stress (which stretches the nerve). He did some extensive manual therapy with my business partner, massage therapist Shane Rye, who treated everything from his neck down to his forearm. This alone gave him a ton of relief - and he even commented that he felt a lot better with respect to some shoulder and neck issues he'd had previously. In his movement screen, we'd noticed a lot of glaring scapular control issues. At rest, he sat in considerable anterior tilt and depression. Upon initiation of overhead reaching, he pulled into retraction instead of initiating smooth upward rotation. Most of his "external rotation" was actually scapular retraction and lumbar extension. In short, he was getting a lot of motion in the wrong places during several upper extremity assessments - and when we went to watch his arm care exercises, they were reaffirming all these faulty patterns. As an example, he was pulling down with the lat on horizontal abduction work, going into forward head posture on a lot of lifts, and banging out push-ups that looked a lot like this. Morever, the exercise selection in his strength and conditioning programs were contributing to these aberrant patterns. His program was very lat dominant, and he wasn't doing enough work above 90 degrees of shoulder elevation to drive better patterns of upward rotation with good scapular posterior tilt. And, if that wasn't enough, he was using blood flow restricted training on his upper arm regularly in hopes of optimizing recovery. In reality, the compression was probably "snagging" his nerve even more. We made a bunch of changes - picking lots of very easy, low-hanging fruit - and he hasn't had issues with the nerve all season. I can't tell you exactly which ONE of these interventions had the biggest impact on him staying healthy - but the good news is that it doesn't matter. Success is a function of over a dozen assessments and several interventions from multiple people. With that mind, quit looking for a quick, easy, reductionist answer. It's not about a single assessment, exercise, or coaching cue any more than it is about a magic pill. Rather, it's about how all the pieces fit together. If you look around at the best coaches and rehabilitation specialists in the industry today, they're usually very well rounded in terms of their knowledge base, skill sets, and referral network. As a result, they can appreciating multiple disciplines and provide comprehensive care to the athletes, clients, and patients they serve. Looking for a diversified educational experience? Be sure to check out our 7th Annual Cressey Sports Performance Fall Seminar. It'll take place on October 14 at our Hudson, MA location. You can learn more HERE. A few weeks ago, we took our three-year-old twin daughters blueberry picking. They had an absolute blast - so you could say that they are very passionate about blueberry picking. In fact, they are quite certain that they are the best blueberry farmers on the planet today. Here’s the thing, though: they really don’t know much about blueberries. And, they don’t even know what they don’t know. Addison refused to take her sunglasses off, so she could barely tell the difference between the ripe ones and the ones that needed to stay on the branch for longer to ripen. Lydia got so excited that she tripped over an irrigation hose. In short, their passion left them nothing short of blind and disoriented with respect to the competencies it takes to become a successful blueberry farmer. Sadly, this example is not much different than where many fitness professionals are at the start of their career. They're wildly passionate about fitness and really enjoy working out, so why not make it into a career? Wikipedia defines the Dunning–Kruger effect as "a cognitive bias in which people of low ability have illusory superiority and mistakenly assess their cognitive ability as greater than it is." In other words, you think you're going to be the varsity quarterback, but you're actually only skilled enough to be the carrying water bottles out to the JV squad. This is the harsh reality of most fitness businesses: they're often based too much on passion and not enough on specific career capital (which I previously wrote about here and here). As a result, people who open gyms get surprised by a lot of things. Start-up costs are higher than anticipated. Generating leads is tougher than they'd expected. Managing growth proves challenging because they've never had to manage employees or pay attention to client retention strategies. They don't realize how complex managing finances is. There aren't enough hours in the day to get to everything they need to do when both working IN the business and ON the business. The list goes on and on. And, I'd argue that these issues are even more prevalent in the fitness industry than in other entrepreneurial realms. There's a lower barrier to entry in the industry, significant initial start-up costs for gyms, and a service-oriented business model that presents unique challenges. In short, there are a lot of reasons why gyms either fail or really struggle to get by. My Cressey Sports Performance business partner, Pete Dupuis, has a MBA and consults for various gym owners on a daily basis to help them avoid these common pitfalls. We've been at this for over 11 years and have two facilities still going strong, and a huge part of that success is the significant work we do behind the scenes to make sure we're a well-oiled machine and just just a "workout place" started because we were passionate. With that in mind, last year, we offered our Business Building Mentorship for the first time. It sold out quickly and received outstanding feedback - so we've decided to offer it again. It'll take place October 15 at our Hudson, MA location (alongside our fall seminar). If you're interested in attending, you can learn more and register HERE. I hope you're having a good week. I was off the grid for a few days for a mini family vacation in Maine, so this post is a few days late. However, as you can see, the scenery was well worth it! The Ideal Business Formula - I was fortunate to get an advanced copy of this book by Pat Rigsby, and it was outstanding. I highly recommend any business owners out there check it out. The Underrated Value of Mediocrity - This was a quick read from Tony Gentilcore, but the message is important and enduring. This surgeon wants to offer cheap MRIs. A state law is getting in his way. - This article was an interesting look at the rising costs of diagnostic imaging - and how one surgeon is challenging existing laws in order to make these tests more affordable. I don’t particularly care how hard your 10u pitcher throws. And, if we are being completely honest, it makes me embarrassed to be a human to know that someone actually put a radar gun on a kid that age, too.